PM Narendra Modi has shared a picture on Instagram, in which he can be seen enjoying the morning with a cup of tea and newspaper. 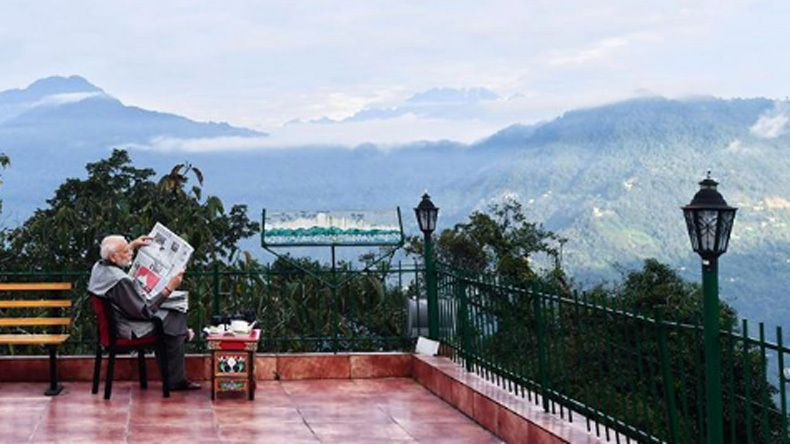 With the picture, PM Narendra Modi wrote, "Sikkim is spectacular, do visit whenever you can. #IncredibleIndia." Praising the beauty of Sikkim, Prime Minister Modi also shared his experience and called it a spectacular place. PM also requested people to visit the incredible place Gangtok. Prime Minister’s new picture has been like by thousands of his fans and followers.